A Dark ‘n’ Stormy can come one of two ways. The first is Gosling’s Black Seal, which is a dark rum, with ginger beer and a highball glass. 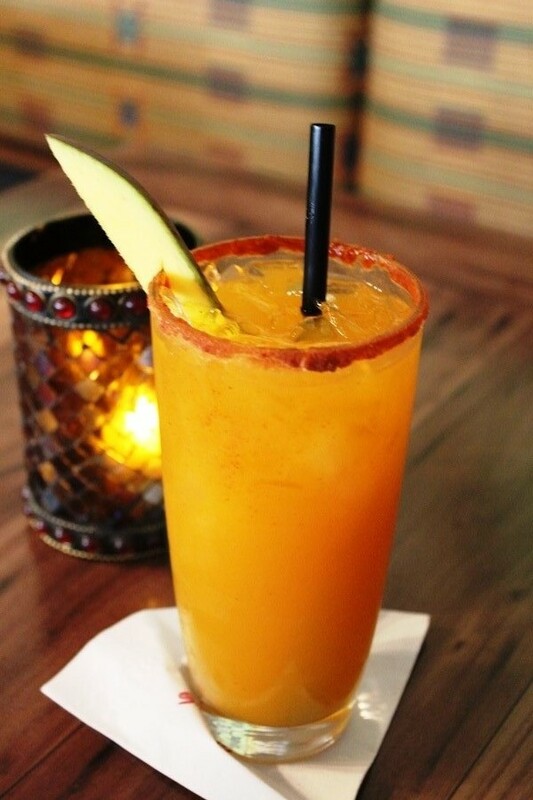 The variation includes running a wedge of lime around the rim and then sinking it into the glass. Recipes are usually open to interpretation, but not in the case of the Dark ‘n’ Stormy. In this case, Gosling actually owns two copyrights for the recipe for the drink. The drink itself was a creation of British soldiers just after World War I who were on leave in Bermuda and enjoyed mixing Black Seal with their own homemade ginger beer. The traditional Dark ‘n’ Stormy was named for a sky that sailors say only a fool or dead man would sail under, but Trader Sam wants you to know that there is no need to batten down the hatch on their variation. 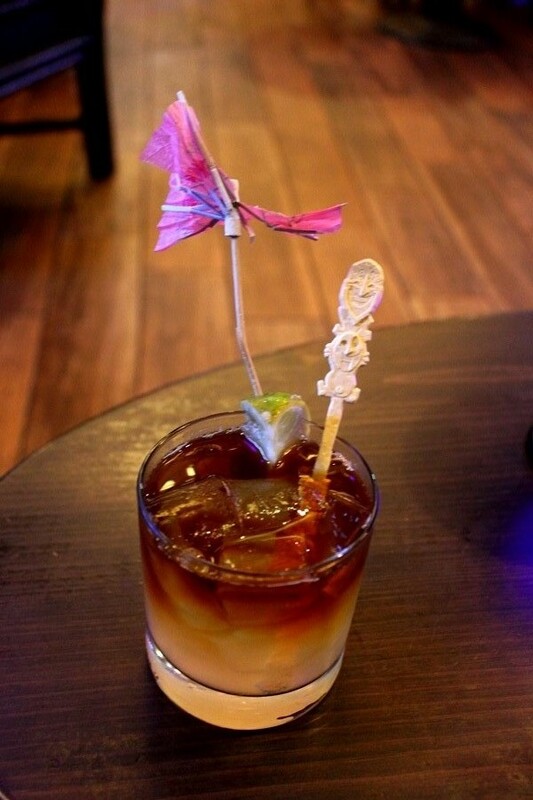 The weather-strained umbrella that adorns the cocktail, however, begs to differ. So, what’s different? The additions to Trader Sam’s Dark and Tropical Stormy are lime juice and falernum, which are setting a course to quench your thirst. The Dark and Tropical Stormy is fizzy and zesty in all the right places. The strength of the ginger in the ginger beer and the lime make this a very tropical feeling drink, but not the sickeningly sweet type of boat drink that immediately spring to mind when the word ‘tropical’ is used. You will definitely get all of the spicy notes from the falernum, but Black Seal is the real captain of this ship. If you like a established Dark ‘n’ Stormy, this may not be the drink for you. However, if you want to add a bit of something more to the drink, even if just to spice up your routine, swing by Trader Sam’s Grog Grotto and give the Dark and Tropical Stormy a sip or two or three. Just make sure you have a fully functioning umbrella. Those of you who have ever stayed at Old Key West, the original Disney Vacation Club property, know the Cast Members are second to none. Have you ever noticed, however, that they actively inform guests of what they can expect from the staff through two different postings at the resort? Let’s explore them a little closer. 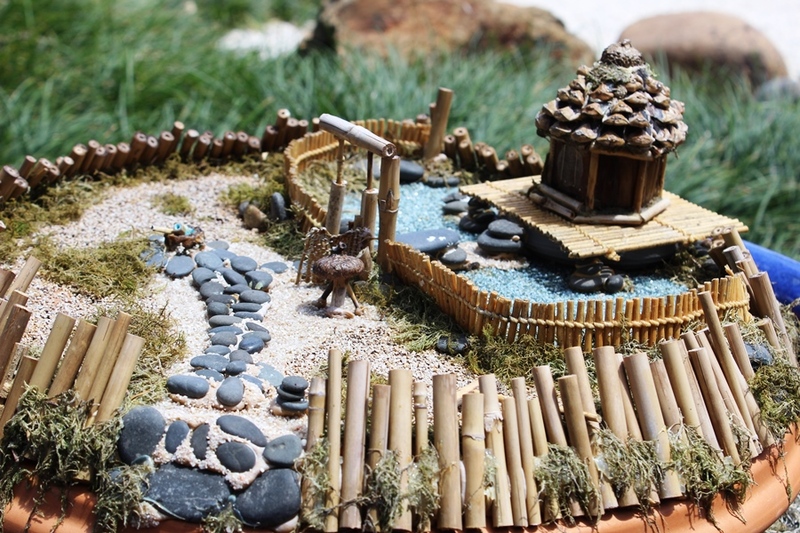 The first item is down between the Sandcastle Pool and the campfire, a short stroll from the Hospitality House. It is known as the family tree and includes this sign. 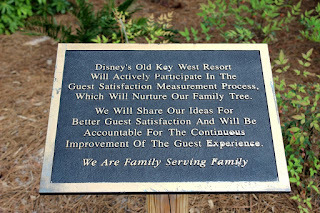 Disney’s Old Key West Resort Will Actively Participate In The Guest Satisfaction Measurement Process, Which Will Nurture Our Family Tree. We Will Share Ideas For Better Guest Satisfaction And Will Be Accountable For The Continuous Improevement Of The Guest Experience. While I believe this is a value held by Cast Members throughout Walt Disney World, especially in the resorts, I like that Old Key West puts it out there for everyone to see. Not only are they dedicated to ensuring everyone has a wonderful experience, they truly believe that they are all family. 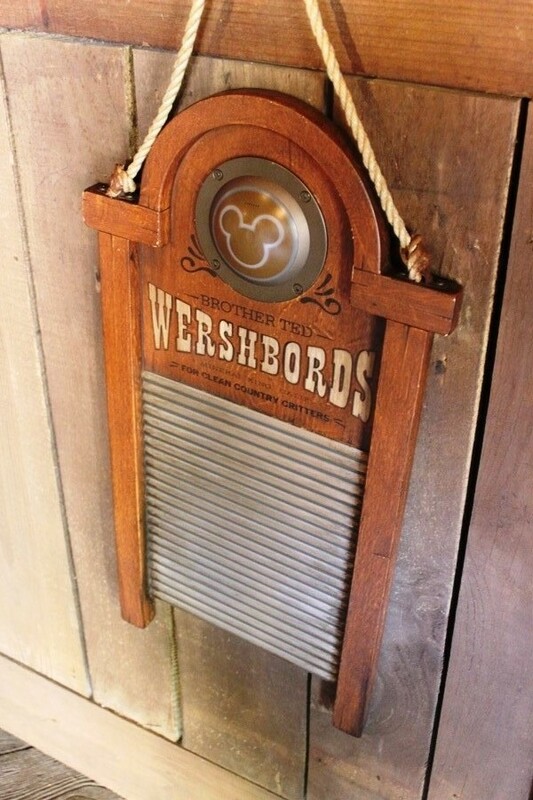 Moving back inside the Hospitality House, we can find this artifact that gives even more guidance into how the guest experience is viewed, this time by the Conch Flats Hospitality League. The plaque attached to this display reads as follows. Pioneers, blazing new Disney trails with vision, innovation and creativity. Family, treating each other and our guests with courtesy, dignity and respect. Entrepreneurs, striving for continuous daily improvement, energized by the pride of ownership. Fun Seekers, seizing every opportunity to celebrate the moment with our guests and each other. Business Persons, balancing the needs of our guests with the needs of the business. Team Players, going “off the map” in support of each other as we simply do whatever it takes to satisfy our guests and ourselves. This is a great mission statement, it shows their guiding principles and gives direction when someone may be lost. The most poignant piece to me, however, is the fact that it is the Conch Flats and not the Old Key West league. This is a sign that for these individual Cast Members this is more than a job, it is who they are. They have bought in to the story that surrounds them, and while Old Key West might be where that job is located, they come to work for the community of Conch Flats. 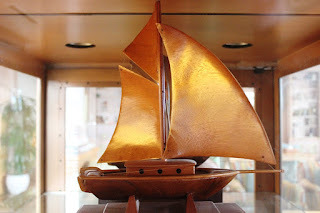 Take note of these dedications the next time you are wandering around Old Key West, and keep an eye out for other such ties to the family connection of Conch Flats. 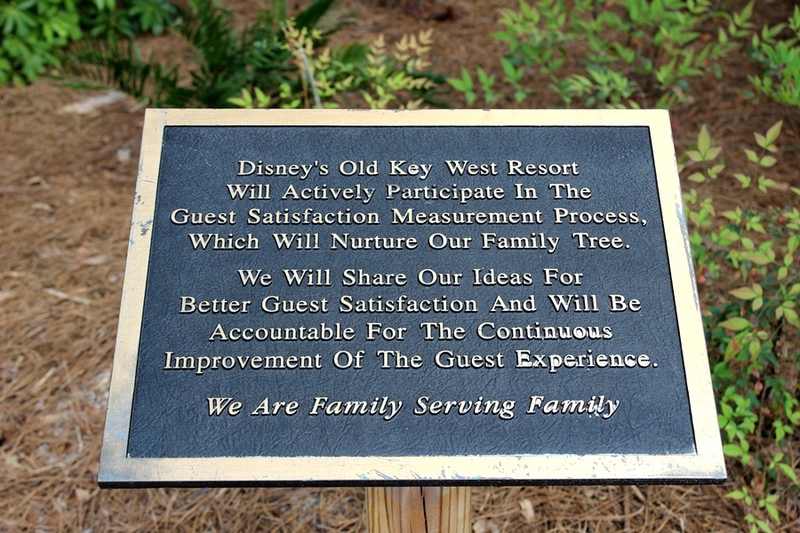 You never know when you might find a recently planted Live Oak demarking the resorts 25th anniversary or some other token of the Cast Members’ affection for the guest family. I’m feeling a bit rambly this morning. You know that feeling you get when you’re not sure where you want to go and what you want to do? 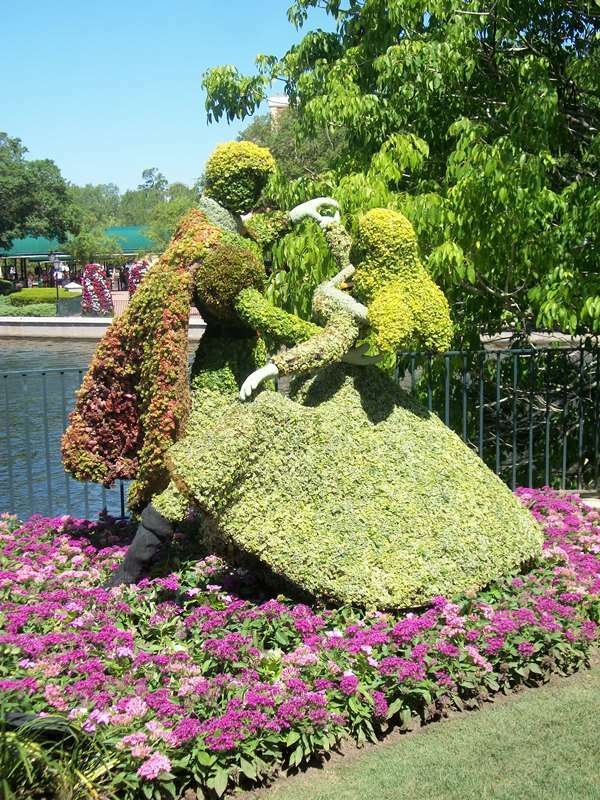 With the Epcot International Flower & Garden Festival winding down, let’s take a quick tour through some of my favorite places to stop and smell the flowers. These may not be anyone’s specific highlight of the festival, but they are definitely worth taking note of as you make your first, last, or only trip through the festival. Florida Fresh Truck – This truck has loaded down with Disney references, from citrus from the Disney Springs area of Walt Disney World to our beloved Orange Bird. Perhaps no one label brings out the Florida boy in me more than the Red Ruby Strawberries, hailing from Plant City, FL, my hometown and the strawberry capital of the world. I love the display here that digs into the history of produce, but more specifically, citrus, labels. 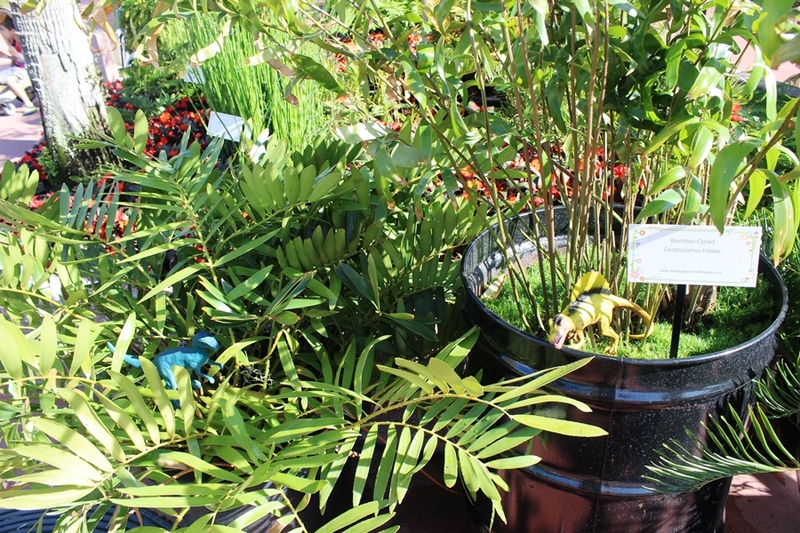 Japanese Mini Gardens – The bonsai garden has long been one of my favorite exhibits during the festival. 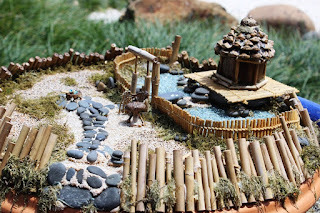 However, the addition of the miniature gardens, each with its own story to tell, may be my new favorite thing. The tea garden may be my personal favorite, but the art meets horticulture aspect of each is something to be admired. English Tea Garden – I know, I know, everyone knows about it, and everyone loves it, but it still deserves a spot in our wandering post. As a dedicated tea drinker, and someone who is partial to several bags that Twinings produces, I love the oversized tea cups as planters, each containing the plants that go into crafting the perfect cup of a specific tea. Anyone need me to top off their cup of Earl Grey? 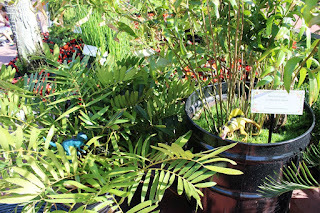 Prehistoric Plants – Sure, vegetables and flowers are great, but the prehistoric plants display looks at ancient plants like cycads and ferns. Not enough to do it for you, huh? What if I said they had dinosaurs tucked away inside the plants for you to look for? 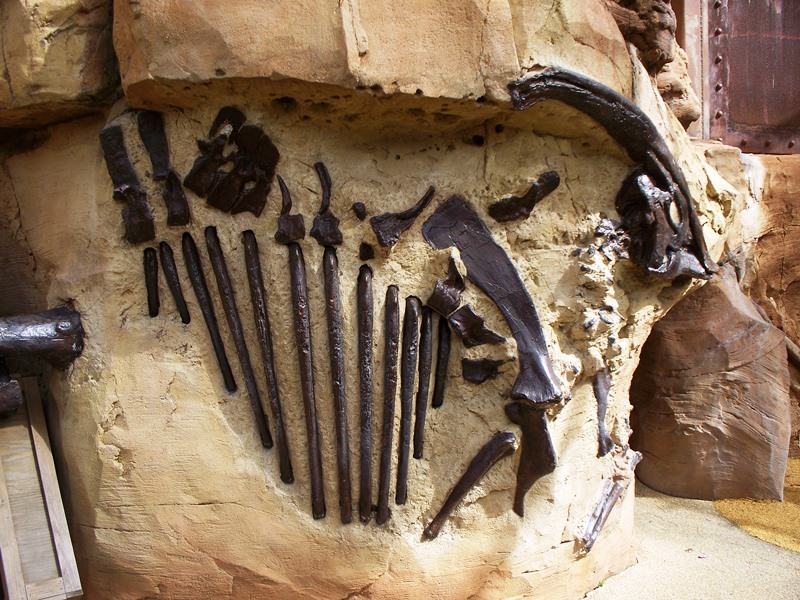 Seriously, I’m considering using dinos in all of my landscaping! Backyard Habitat – It has long been a personal goal of mine to create a certifiable backyard habitat in my yard. Here there are real world, functional examples to help everyone make that possible. 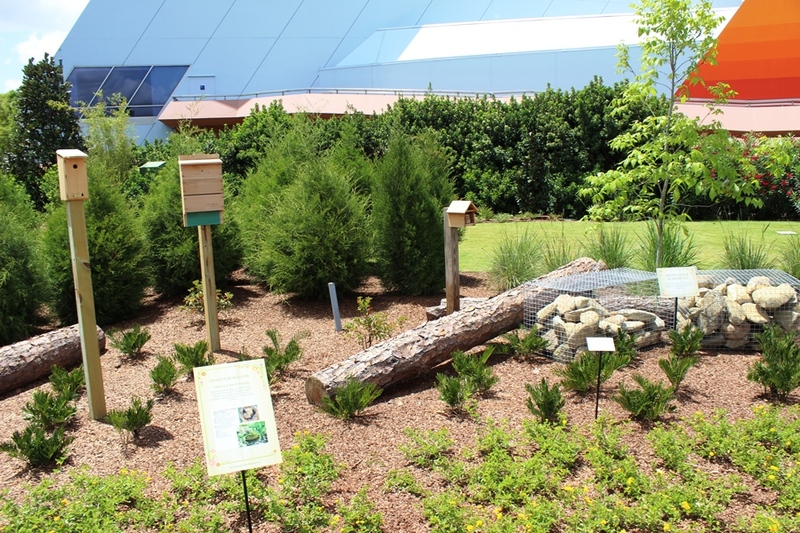 Sponsored by the National Wildlife Federation, the garden even has ideas for habitat creation in cities, where an abundance of land is a luxury. There you have it! Stroll through the butterfly garden if you must (it’s gorgeous by the way), take note of the additions to the miniature train village in Germany (wooo-woooo), and check off the topiaries on your list (these are works of art), but make sure you take time to notice the lesser frequented gardens. There have been some incredible additions this year and some truly inspirational gardens that definitely left their mark on me. Soak it all in before the festival is over and then stop back by and let us know what your favorite corner of the festival is! The culture of vacation food has changed dramatically over the past generation. When I was a kid, a hot dog, burger, or ambiguously shaped chicken nuggets were exactly what you wanted out of a vacation. Heck, getting cheese on that burger was considered a treat. I feel like this was also what our parents wanted as well, except for those times we got ditched in favor of a specialty meal or upscale lounge. These days, however, we all want our taste buds to experience our vacation as well. There are a lot of options to consider, but one at Capt. Cook’s stands out. As you venture down to the ground floor eatery of the Polynesian Village, you may already have your meal planned out. That meal may or may not consist of an entree, drink, and a Dole Whip. And shame on you if it doesn’t contain a Dole Whip! For your main course, may I suggest something a little different? It’s listed simply as Thai Coconut Meatballs, served with rice. What you get are three gigantic meatballs atop a fair mound of rice and covered in sauce. It is definitely more than enough to fill an individual up. The rice is filling, but it is rice. I would love to see this dish amped up with either some jasmine or basmati rice, but that’s just me and my pretentious palate. As for the meatballs, they are incredibly large, and you will find yourself having to cut them in half, or more. Luckily for you, they are tender enough that a fork will cut through them. The spices used in the meatballs are great! I think I caught a hint of ginger, garlic, some mild chilies, and even a hint of something sweet. The sauce, although I could easily use the word gravy here, is thick and rich. The coconut milk immediately tells you that this isn’t your mama’s meatballs! Add in some tomatoes, and it takes on all the best parts of a curry. The green scallions on top are a nice touch. For a pro tip, save as much of the sauce as you can and mix it up with your rice. You will not be disappointed! It used to be that getting something like Capt. Cook’s Thai Coconut Meatballs meant going off property or having to pay for the full sit down experience. 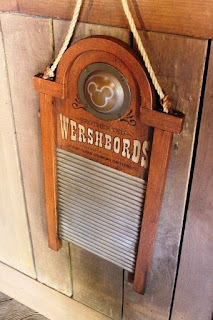 These days items like this are commonplace throughout Walt Disney World. I highly recommend giving these meatballs a try, but even more to the point, I recommend being a little adventurous with your vacation meals. After all, aren’t you away from home to experience something new? So go on, take a bite out of all the world has to offer! Before we begin, I have to give a shout-out to Melissa Sue Sorrells, of Mouse on the Mind! Without her I would have never even known to look for today’s item to review. So, now that I’ve piqued some interest, what is it that we’re talking about exactly? 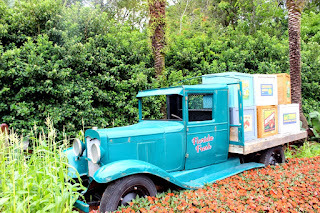 The Frozen Elephant found at the Africa Coolpost in World Showcase. 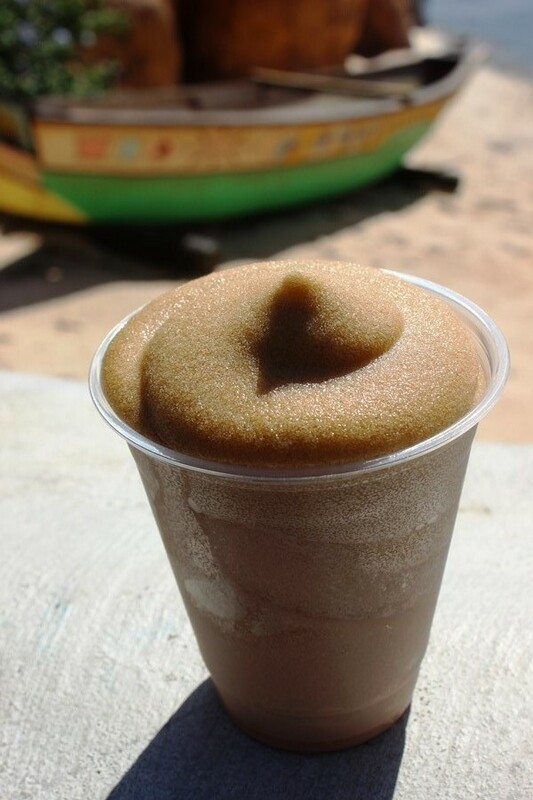 It is listed very simple as a frozen Coca-Cola and Amarula Cream Liqueur. As an avid fan of frozen Cokes everywhere, this was one adult beverage I had to check out! This isn’t a mixture that comes sloshing out of a machine. Sure, that’s how the frozen Coke gets into the cup, but the Amarula is added to the cup first and then the slush is added in on top of it. The liqueur gives the frozen Coke a bit more body and a hint of something tart, but not enough that it distracts from the Coca-Cola itself. At only 17% abv, the Amarula isn’t enough to make you tipsy, just enough to add some flavor to your frozen soda. I cannot recommend the Frozen Elephant enough, particularly if you’re wandering around World Showcase, sweating through the middle of the day, and a glass of wine, margarita, or other concoctions just don’t sound perfect to beat the heat. You might be asking yourself where the elephants come from in the name of this beverage. No, it isn’t just that the Africa Coolpost has a distinctly equatorial feel to it. Amarula features elephants on their labels due to their tie to the fruit that comprises the main ingredient of Amarula. The marula tree is known as both the marriage tree and elephant tree, and produces fruit only once a year between December and March. Elephants and other creatures love the ripe, or over ripened, fruit of the tree, which is known to contain approximately eight times the amount of vitamin C found in a typical orange and has a sweet and tangy flavor profile to it. The trees grow in sub-equatorial Africa, and while it is believed that many of the trees were planted along the migratory trail of the Bantu people, the marula trees have had very little in the way of cultivation by the hand of man. A quick side note, Amarula is so concerned with ensuring that elephants are there to partake of the marula fruit year after year that they began The Amarula Trust. The main thrust of their work is to conserve and protect elephants through education and creating sustainable environments. 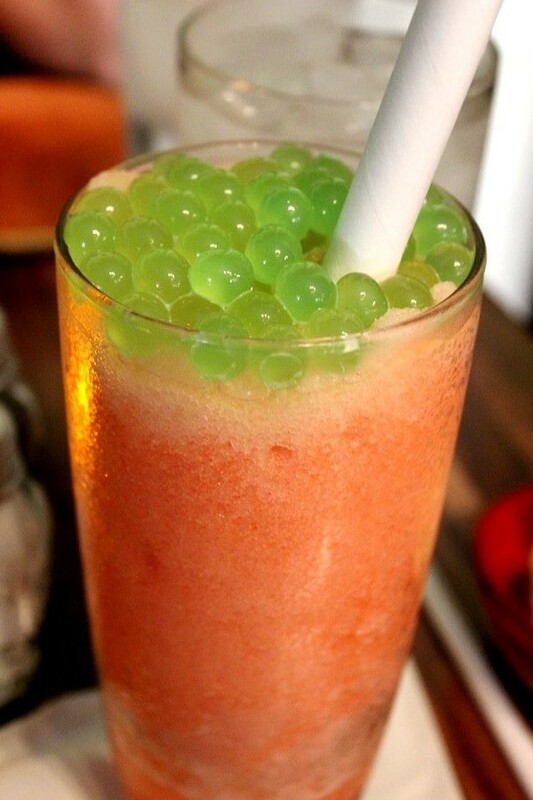 All in all, the Frozen Elephant is a terrific little drink that won’t affect your faculties, aside from a possible brain freeze if you consume it too fast. It’s a great way to get some cold caffeine running through your veins with just a hint of something else building up the drink on the backside. This won’t be a make or break beverage for any trip, but you will be glad you gave it try! I’ve put it out there before, it’s one of the reasons the amount of content on the Gazette had to slow down, but I was diagnosed with Rheumatoid Arthritis a little over a year ago. It was a wrecking ball to my life and what I believed would be my future would be, but it was also a godsend because I finally had an answer as to what was happening to me. The not knowing was the worst part. Of course, with the RA it meant a whole new lifestyle, a whole new perspective, and a whole lot of medications. 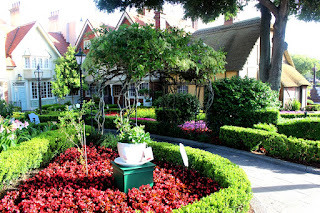 It has also meant a whole new way of exploring Walt Disney World, but first let me try to provide a little insight into my daily life. RA is an invisible disease for the most part. The way I describe it is that my immune system is an overachiever, just like me, and doesn’t know when to stop. It goes from attacking illness and foreign bodies to attacking healthy parts of my own body. There aren’t a lot of solutions that don’t require your immune system to become nonexistent, because you have to put the monster to sleep to feel better, even if that monster is what protects you from other creatures. Your energy level sinks like a stone and you find yourself negotiating with yourself just to make it to the bathroom in the middle of the night. The only time its visible is when I am in incredible pain, called a flare, or if I choose to wear a mask to keep myself healthy. We’ll get further into the mask bit a little more later. One of the best descriptions of living with RA comes from Chrsitine Miseradino and is called The Spoon Theory. Go ahead and read it, I’ll wait. Once I had my diagnosis, my first thought wasn’t how this was going to affect the Gazette or how it was even going to affect trips to Walt Disney World. I do have my priorities straight after all. No, my first thought was how this was going to affect my family, particularly the missus, and the conversations we had been starting around having a child. Then I thought about my health, I was just trying to get myself back into running, and we had just bought a house and I was thrilled to finally have a yard, a yard that I now wouldn’t be able to work in as much as I wanted to. Working with youth in my day job and having to be up, down, and constant moving was also a concern, as I wasn’t sure I could be as mobile as I needed to be. Living with RA was going to teach me all about balance. The tenants to remember with RA is that it is mostly invisible to passersby and colleagues, but it is completely and utterly exhausting, and you never know when or where it’s going to strike, only that a strike is going to happen sooner or later. So, we come to a visit to Walt Disney World battling these constraints. There is stress, there is a lot of physical demands, and there is very little of it that you can plan and control. Basically, the worst possible situation I could have imagined for myself. Ahead of the trip the missus and I sat down and had several long discussions. Should I wear a mask while visiting? With an extremely low functioning immune system, I should do all I can to protect myself and my health right? Is the stigma of “what is wrong with that guy?” worth it? It isn’t what’s wrong with me, but rather I can’t run the risk of getting whatever illness you or your child has, because it is going to have a lasting effect on me beyond the fact that I’m going to take longer to get better. I wore the mask, sporadically. Basically, I’m not entirely ready to call myself out everywhere I go. It’s vain and I know it. I’ll probably change my mind in the next few years, but for now I’m still rolling the dice, and dealing with being sick more than I’d like to be. Should we rent a wheelchair? I immediately opted away from the ECV option, if only because I was convinced I would do something wrong with the controls and end up running over some other guest just trying to enjoy their vacation. The short answer was, again, “no.” The long answer was I didn’t want to have it up front, but if I got to a point where I knew I couldn’t walk or carry myself any longer, we would grab a wheelchair for the days and times that I needed it. Outside of these two considerations, we didn’t have a whole lot else planned ahead of time. Just like our daily lives it was going to be putting one foot in front of the other and deciding how best to meet the day each and every day. Once there I was able to push through the first day or so with high energy. I was ignoring my body because my adrenaline of being back in Walt Disney World sustained me. It was definitely not the smartest thing to do, but my body didn’t notice so I didn’t take the time to think it through. The first time I did notice something was when the exhaustion hit me in the afternoons. I still pushed through, but I mentally changed my strategy. Heck, I’ve always loved the long shows and rides, so this was a blessing in disguise. 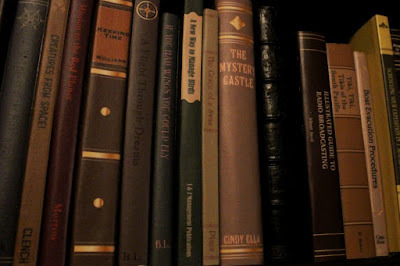 I got to spend some time in The American Adventure, on Ellen’s Energy Adventure, The Great Movie Ride, multiple rounds on the PeopleMover, it’s a small world (Have you ever noticed how many quiet, seated, and dark adventures there are in Walt Disney World? ), or sitting on a bench and watching the parade go by. Wonderful! Sure, we called it an early night, but you need those every once in a while when you at Walt Disney World, right? Wrong, I would push myself so hard in the mornings and during the days that I did not see the sunset or a single fireworks display the entire time I was there. The next thing I noticed is that I wasn’t in my own bed. The pillows I use every night to keep my knees from touching one another or one of my arms tucked tightly against my chest weren’t there. The pillows I did have from Disney were okay, but they weren’t what I was used to. Neither were the sheets, comforters, and mattress. All of these pieces add up and they will keep you up and uncomfortable all night, regardless of how exhausted you are. Next time, I packed some of the comforts of home, just so I could sleep. I have long been a believer that I would rather drive my car to the parks than be beholden to the transportation system. I love the monorails, ferries, motor launches, and even the buses, but I’ve always felt driving myself saved me time. Now, it saves me, period. I don’t have to wait in the elements or stand for longer than I need to. I can get myself to where I’m going before my tank bottoms out below Empty. Driving my own car also allows for me to drive to Walt Disney World and set my own break pattern, not stuffed into a chair on an airplane where I can barely move and stretching is a luxury. I used to leave after work and drive straight through to Walt Disney World overnight, crashing the gates first thing the next morning. Now, I tend to make the trip in two days with a stopover at a hotel somewhere to rest and reboot. Part of this I leave at the footsteps of the RA, but I also know part of it is that I’m just not as young as I used to be. I said earlier that I couldn’t plan and I wasn’t in control, but that’s not entirely true. Planning for a worst case scenario, something I don’t like to do because I’m eternally optimistic, can be extremely helpful. You may not need to utilize any of the plans you make, but know what and where your options are allowed me to enjoy myself a little more leisurely than if I had just been winging it. The other thing that saved me were the friends I surrounded myself with. Between the missus and friends who were willing to accommodate what I needed, when I needed it, I was able to have a wonderful trip. I am eternally grateful to all of them, and don’t know what I would have done without them, regardless of the RA. The mantra I have repeated time and again to people who ask about how RA affects my life is simple. It has changed how I will live my life, but it will not change my life. I don’t use it as an excuse, or something to brag about, and it certainly does not define me. I do use RA as something to laugh at. My hands clench up? 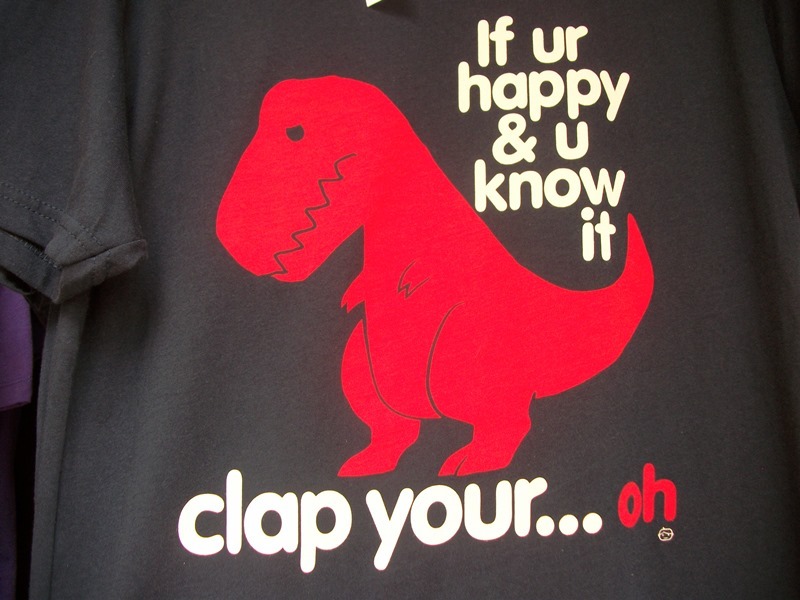 I pretend to be a T-rex (of the “I don’t know how well this plan was though through” or “If you’re happy and you know it clap your… oh” variety). My leg is exhausted and being dragged around? I name it Smith or make some other joke about table legs working better than mine. Rheumatoid Arthritis has changed my life, but perhaps I appreciate the world more now than I ever would have or I cherish those around me more than I would have. It is a learning experience, and I am a life-long learner. Quite literally now. 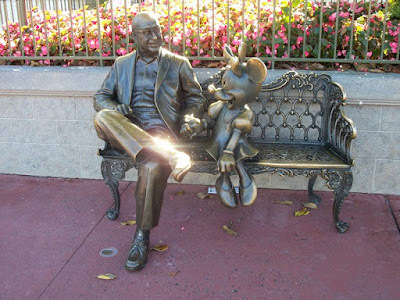 It has changed the way I will walk down the road, but not my road, and certainly none of the rest and recharge that Walt Disney World has always brought me. I don’t know what I hoped this article would give you, but I hope you learned something, or if you’re living with this disease as well, maybe you found an idea or a glimmer of hope. I hope it brought you something, because I know it was a gift to me. With DuckTales returning to television in 2017, it’s time to rewrite some history, Duckburg style! 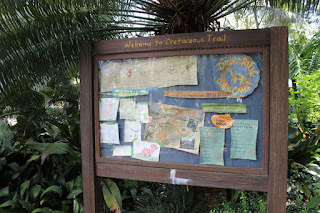 To do it, we have to look no further than DinoLand U.S.A. in Disney’s Animal Kingdom. That sounds like a bit of a stretch, doesn’t it? 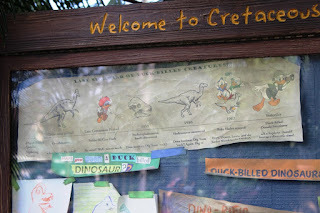 I promise, if we just head on over to Cretaceous Trail, the ducks are there for all to see. 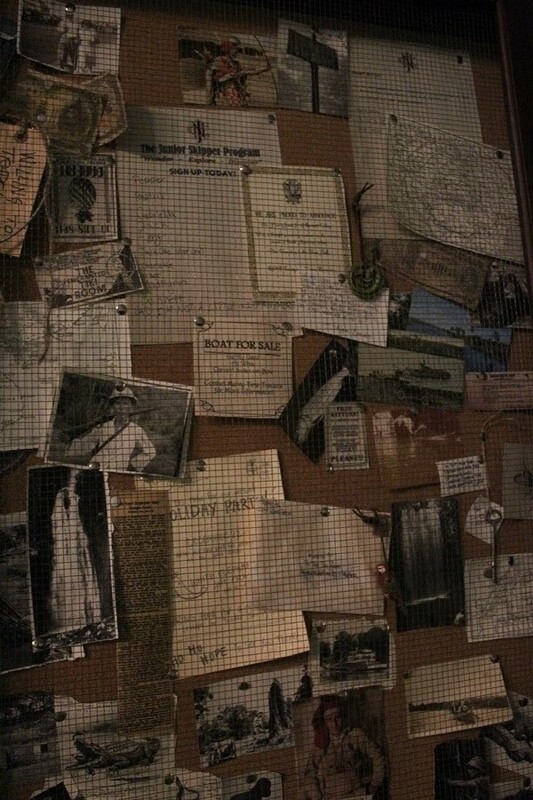 For all to see, that is, if we study the bulletin board where notes have been left for Wilderness Explorers very closely. 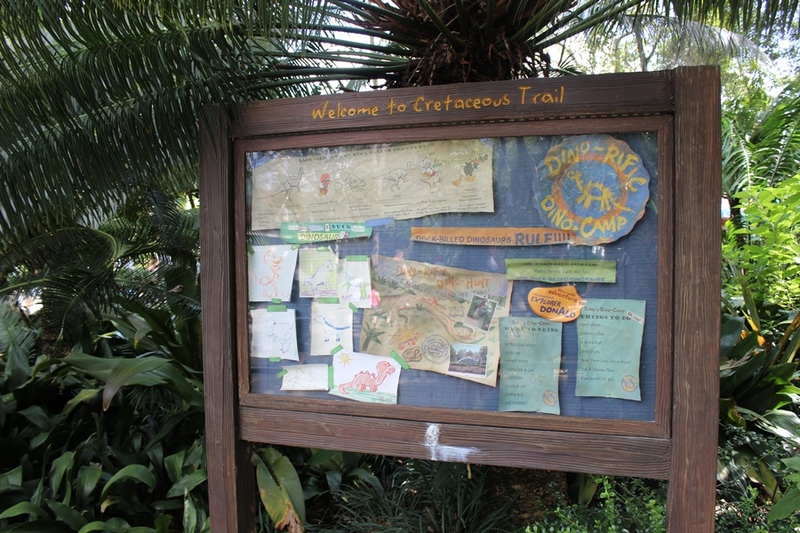 As the Cretaceous Trail is also home to Donald’s meet and greet, it makes sense that there would be a fowl theme in play here. And no, I’m not talking the villainous organization, F.O.W.L., which went up against DuckTales’ counterpart on The Disney Afternoon, Darkwing Duck. I’m talking about all things duck, and most importantly all things duck-billed. 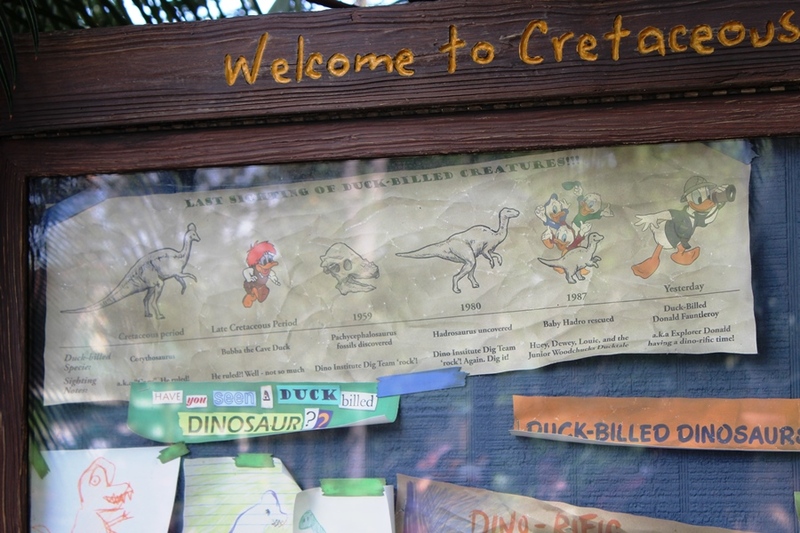 At the top left corner of the bulletin board, there is crinkled timeline of the last time specific duck-billed creatures have been seen. Aside from stating that this is where Donald Fauntleroy is having a dino-fific time, there are two other spots to talk about. The first comes from the Late Cretaceous Period where we see an image of DuckTales’ own, Bubba the Cave Duck. Depending on the source, he was also later identified as simply Bubba Duck. Bubba arrived on the scene in the opening episode of the second season of DuckTales. This episode, Making Time, was part of the five episode arc entitled Time Is Money. Yep, Scrooge’s thirst sent the gang back through time to change his fortune. Along the way they picked up Bubba and a triceratops. Bubba would take on the triceratops as his pet, and name her Tootsie, after she stepped on Launchpad McQuack’s, you guessed it, tootsie (aka foot). Bubba and Tootsie would travel back to the present day with Scrooge, the nephews, and the rest of the DuckTales crew. After becoming homesick, Bubba would recreate a version of his cave from Duckbill Island in Scrooge’s backyard. He would be integral to several stories throughout the remainder of the series. Moving ahead on our timeline, but further back in DuckTales history, we stop at 1987. This is the year that DuckTales launched, and also the year that Huey, Dewey, Louie, Webby, Scrooge, and Launchpad visited the Lost World. 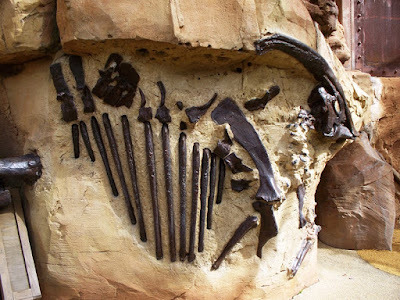 Here, they hoped to find a living dinosaur to take back to Scrooge’s zoo. Through a variety of missteps and an apparent change of heart on Scrooge’s part, they end up saving a baby Hadrosaurus and returning it to its mother. Scrooge does end up chartering tours of the Lost World, but the baby hadro, who looked absolutely nothing like its timeline depiction, was indeed saved. This occurs in the episode entitled Dinosaur Ducks, which was the eighteenth episode to air, but due to episodes being shown out of order, it is listed as the thirty-ninth episode of the first season. That sure is a lot of duck-billed activity to soak in! As anticipation builds around the return of DuckTales, one can only hope for more and more of these type of references to return to the parks. A number of characters have been listed as returning for the 2017 series, but that hasn’t included Bubba the Cave Duck as of yet. I mean, who doesn’t want to hear him exclaim, “Bubba smash,” at least one more time? 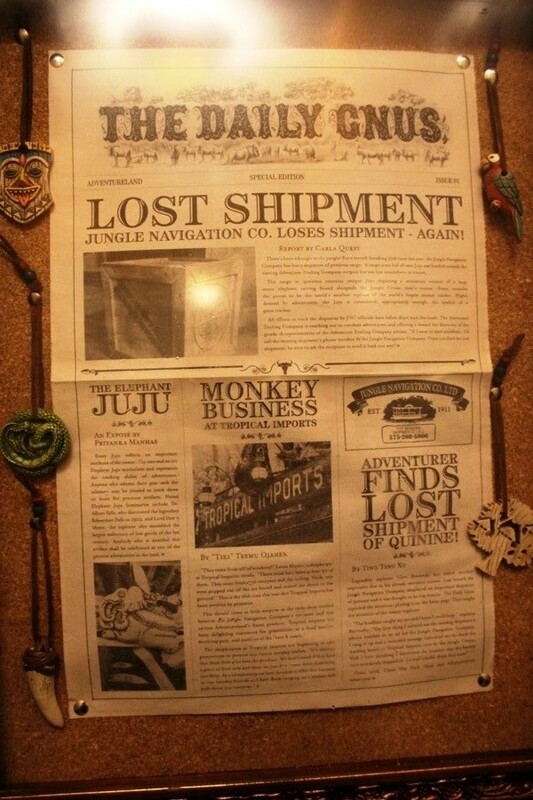 The corkboard cabinet found in the Crew’s Mess Hall of the Jungle Navigation Co. Ltd. Skipper Canteen is well worth the investment of time to peruse through the various postings. Gags a plenty, nods to attractions, advertisements, mailings, and even a little Jingle Cruise action can be found amid the clutter. Perhaps the best words I can leave you with, as we leave our Skipper Canteen safari behind, for now, come from Shrunken Ned. The card on the board is Shrunken Ned’s Sure-Fire Guide To Tell If You’ve Learned All Of Life’s Lessons. But who is Shrunken Ned? Shrunken Ned, or Colonel Nedley Lostmore, is the Jungle Witch Doctor and brainchild of imagineer, Eddie Soto. Ned is a longtime staple of Adventureland and currently lives in the South Sea Traders shop in Disneyland. For the low, low fee of fifty cents, he will diagnose your ailment, voiced by Soto himself. His prescription cards have become cherished take away souvenirs amongst those who frequent the jungle. 1) Hold mirror up to mouth. 3) If you succeed you must have learned something, because you’re still alive! 4) Continue to learn life’s lessons. I hope you’ve enjoyed our tour of the Jungle Navigation Co. Ltd. Skipper Canteen, but we’ve only begun to dig into the treasures here. Now, get out! I’m sorry, that was rude… please get out. We’ve reached our last food article for the Jungle Navigation Co. Ltd. Skipper Canteen, at least for the moment, so why not finish off our meal with some desserts? The menu offers up four desserts, including the Kungaloosh!, a great name that harkens back to the staple beverage of the Adventurers Club, but that shares nothing else in common with its namesake drink. Moving along, there are three other options to add to the party, Bertha’s “Bahn Bong Lan” Cake with Mango-Lime Sorbet, Sugar-crusted Congee Pudding, and the Coconut Bar with Pineapple-Basil Compote and Vanilla Cream. There are also a couple of fun looking desserts for kids, but we stayed with the grown up menu, sadly, and opted for the congee pudding and coconut bar. Both of these have names that could make them seem unapproachable to the average diner, and the descriptions don’t help a ton, but here’s what the menus have to say. Sugar-crusted Congee Pudding is a dish of caramelized custard with millet, almonds, apricots, dates, and honey-almond tuile. 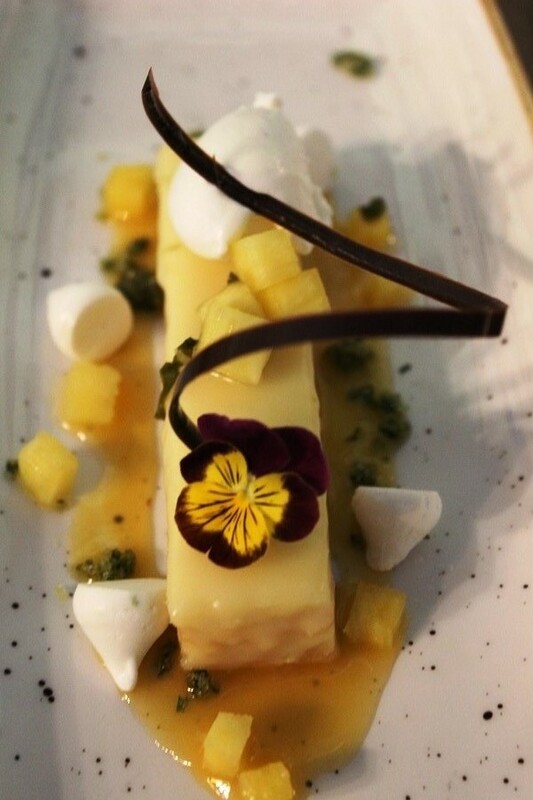 Meanwhile, the Coconut Bar with Pineapple-Basil Compote and Vanilla Cream adds nothing else from the menu itself. Looks like we have our work cut out for us, so let’s grab a spoon and start reviewing! 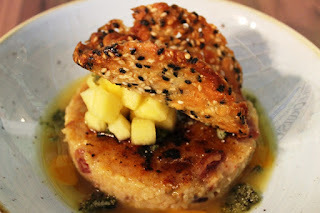 The Sugar-crusted Congee Pudding is clearly designed to be a combination of rice pudding and crème brulee, but doesn’t do a great job of marketing itself. The pudding portion is highlighted by the apricot and dates, with just a hint of almond hanging out in the background, both in terms of flavor and crunch factor. The dish is topped with some pineapple and a crispy cookie-like topping, the tuile, that isn’t overly sweet, but that brings out the honey, almond, and black and white sesame flavors. Overall, the Sugar-crusted Congee Pudding is quite heavy and almost seems like more of a breakfast or brunch item, rather than a dessert. The missus loved it, but even she admitted it would be an acquired taste for most. On the other hand, the Coconut Bar with Pineapple-Basil Compote and Vanilla Cream was an absolute hit for us. With its dollop of vanilla cream, thin chocolate spiral, and edible flower this was almost too pretty to eat, but that didn’t stop us! The bar is thin layers of delicate coconut cake and cream sitting atop a pool of pineapple-basil compote. See those little flecks scattered around the plate? Those are pieces of crystalized basil that absolutely heightened the tropical essences present in the pineapple and coconut. The white drops are sweetened meringue in a form that is similar to malted milk balls in texture. These served as excellent palate cleansers between bites, but it wasn’t like we were looking to get away from this dessert at all. The desserts at the Skipper Canteen are not your typical cake and ice cream offerings that you’ve come to expect. Like the rest of the menu they inhabit the incredible flavor profiles found throughout the world, and may not be to everyone’s liking. Personally, even though we didn’t love the congee pudding, I’m glad there is a place for it to call home in Walt Disney World. There are offerings here, like the coconut bar, that I’m certain people fall in love with and come back for again and again. And, when in doubt, Kungaloosh! Broth, protein, veggies, noodles, and some heat. That’s all any explorer, guide, skipper, social director, or dance instructor can ask for in a meal, right? At the Jungle Navigation Co. Ltd. Skipper Canteen, they offer up a choose your own adventure style noodle bowl that is picture perfect and ready to send your taste buds on their own adventure. The Rice Noodle Bowl is just about the freshest thing around the Skipper Canteen, which is saying something considering some of the crew members that are wandering around! Seriously though, the noodle bowl is chock full of julienned vegetables, including carrots, red onion, and a variety of peppers. The veggies are combined in a lemongrass pho broth with rice noodles and several different herbs piled on top. Lime wedges accompany each dish for those looking to add a citrus zing to their bowl. 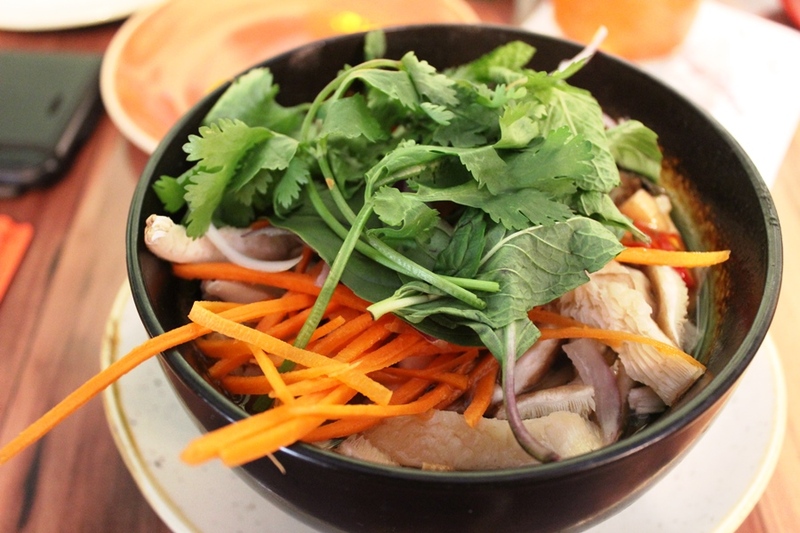 The Rice Noodle Bowl comes one of three ways, with chicken, duck, or tofu being included as the protein options. For this review I opted for the chicken. The chicken was tender and succulent, which was way more than I was assuming for chicken slices added to a soup dish. As stated above, the vegetables, along with the lime, were fresh and added brightness to the noodle bowl that I was not expecting. The noodles were well prepared and the herbs, cilantro and basil, brought the whole dish home. With all of these positives, I kept feeling underwhelmed and it took me a while to figure out why. It turns out the problem with this dish is in the broth. The lemongrass pho broth is light, but doesn’t add enough flavor to the experience. One could argue that with everything above it should be fine, but it’s not. I can understand that the Skipper Canteen would want to keep the base vegetarian to give guests with dietary restrictions an option, but it makes the Rice Noodle Bowl a miss for me. The broth needs to be able to pull the dish together, and the lemongrass just makes it too thin to do so. When I ordered the Rice Noodle Bowl, I was hopeful to find an in-park counterpart to Kona Cafe’s Asian Noodle Bowl. I expected less heat from Skipper Canteen to make it more approachable to a wider range of guests, which is what I found. Overall, however, the Rice Noodle Bowl just wasn’t sturdy enough to hold my attention or please my palate, no matter how pretty it was to look at. 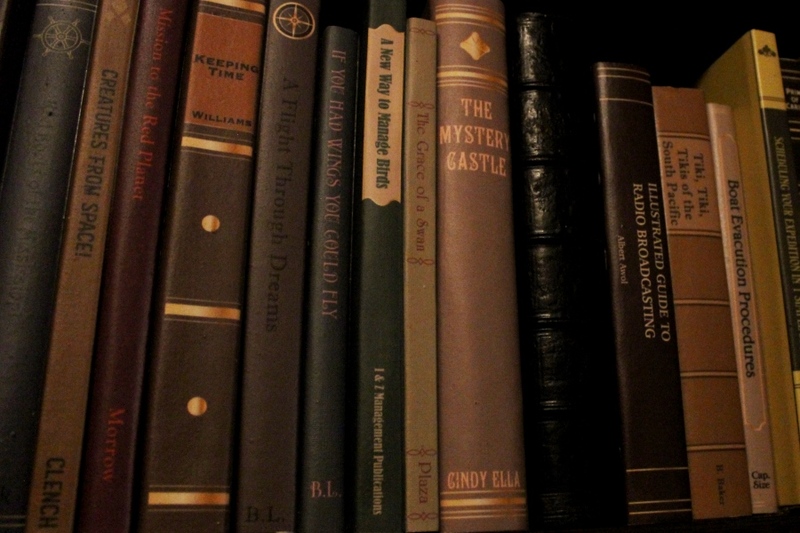 This choose your own adventure, like so many books in my formative years, ended before it truly began. With rumors of a menu overhaul coming, my hope is that the Rice Noodle Bowl stays on the menu, but that it finds some more umph to push this dish to the top of the order. If you’ve hung around the Gazette for any length of time, you’ve probably noticed that I have a soft spot for charred anything. Burnt ends, crispy bits of cheese, and the list goes on and on, but chances are if it has been burnt a little bit, then I’m going to like it. This explains why, with just a small picture and brief description, I was ready to dive headlong into the Char Siu Pork from the Jungle Navigation Co. Ltd. Skipper Canteen without so much as a second thought. The official menu description lists the Char Siu Pork as marinated grilled pork medallions served with Chinese broccoli. It also comes with your choice of either five-grain or white rice. This is a fair description, but doesn’t totally give you an idea of what you’re ordering. From the pictures and the descriptions, I knew I was headed into red meat on a stick territory, or how I describe one of my favorite items on the menu at our local Chinese buffet, but only better. To be complete accurate, Char Siu is a specific common manner in which meats, particularly pork, are prepared and barbecued in Cantonese cuisine. Usually it is thin strips of pork that have been skewered and then roasted over a fire. 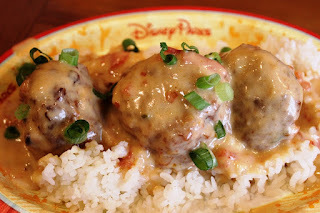 The Skipper Canteen has taken this style of preparation to heart and has created a dish that I would order again and again if it weren’t for the fact that I have so many dishes left there to try! Each meal comes with three to four strips of pork that have been grilled to perfection. Not dried out, which is easy to do with pieces of pork this thin, and not overly juicy, but just right. It’s the Baby Bear bed of grilled pork. The glaze is a mixture of honey and other spices. I forgot to ask what specifically the spices were as I devoured the Char Siu Pork, but it definitely had the making of a five-spice powder. The glaze didn’t suppress the flavors of the meat, but instead worked in tandem with the pork and charring to produce a mouthwatering entree. The Chinese broccoli is not your typical broccoli. It has longer stalks and less bushy florets, and it tastes a little bitterer than typical broccoli. That’s okay as it works well paired with the sweetness of the pork. As for the rice, the five-grain probably would have added some complexity to the dish, as well as being a more substantial starch, than the white rice I ordered. 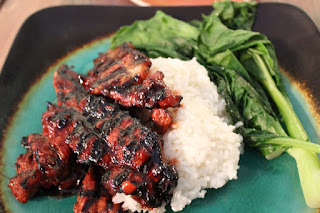 Either way, mixing the rice with the pork drippings and excess glaze will give you a couple of flavorful bites. The Char Siu Pork is another hit for us at the Skipper Canteen. It hits all the right notes for this self-proclaimed fan of charring and all-things Asian barbecue, but is easily accessible to less adventurous eaters. 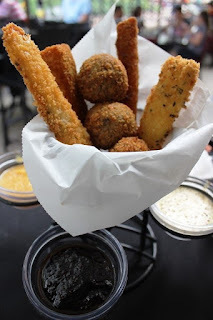 I would be happy to dig into this again and again, and as I make my way through the menu, I’ll probably convince my dining partners to order this, just so I can snag a bite or two for myself! The Adventurers Club is alive and well in our hearts and memories, but more and more we’re seeing that the S.E.A., that’s the Society of Explorers and Adventurers to the uninitiated, has taken its place as the eminent association around the globe. Walt Disney World is no exception, and the S.E.A. 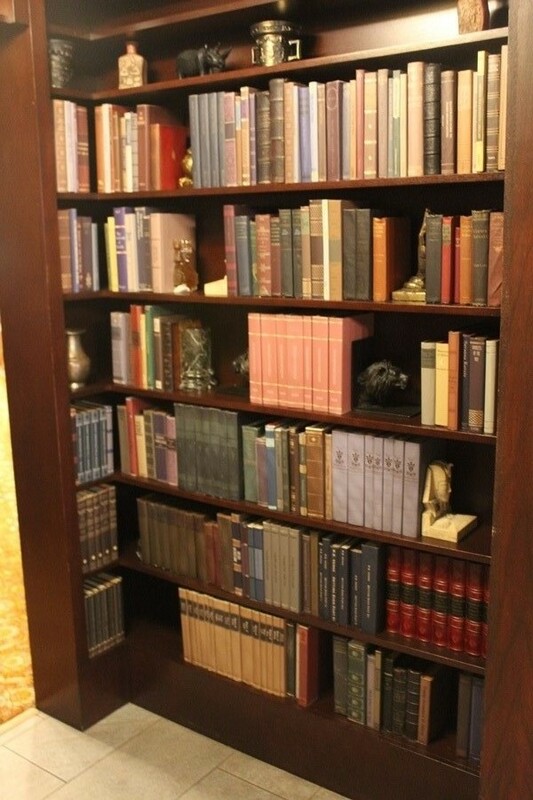 is a thread that is weaving into more and more tales around the resort. 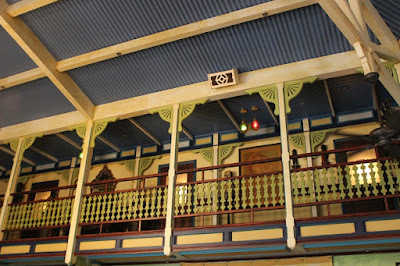 Case in point, the Jungle Navigation Co. Ltd. Skipper Canteen, where guests can find S.E.A. artifacts and individuals that tie not only to other destinations in Adventureland, but to Trader Sam’s at the Polynesian, and even some of Pleasure Island’s elder states-members of the Adventurers Club. 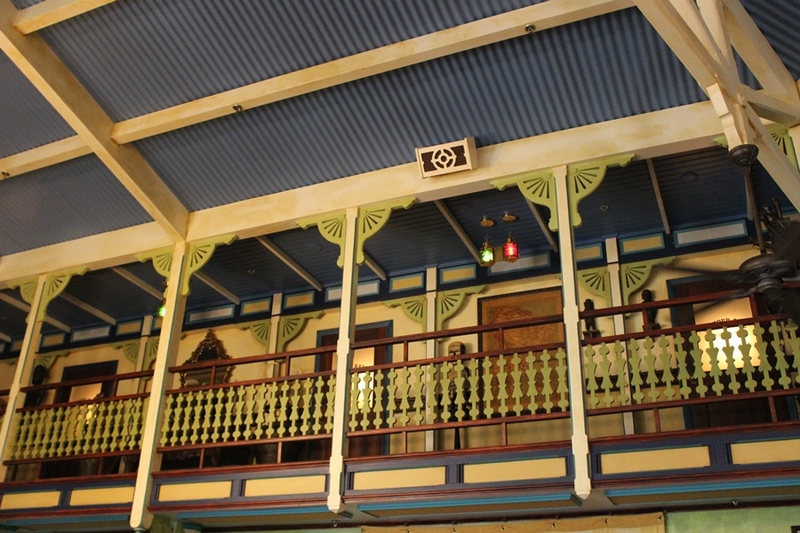 If we’re look for newly installed members of the S.E.A., new by terms of our knowledge of them and not necessarily in historical context, then we need look no further than the Crew’s Mess Hall. Here we can find the Lost and Unfound. Clearly some members have left behind a few belongings over the years, but what we’re most interested in today is that tool box located at the far left of the shelf. This toolbox belongs to a J. Lindsey and has a warning affixed to it that it may contain a live snake. Is any of this sounding familiar? 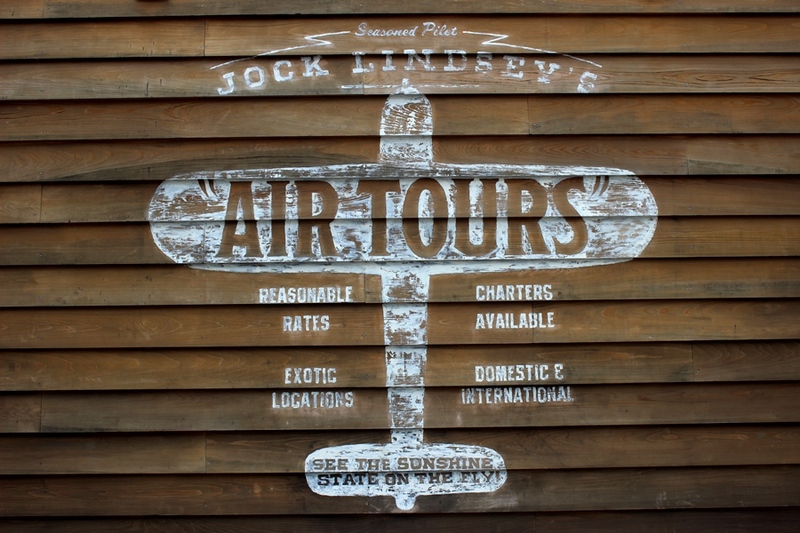 Clearly, Jock Lindsey has made his way over from Disney Springs. 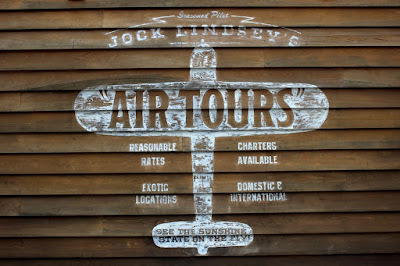 Jock is the proprietor of his namesake Hanger Bar in The Landing section of Disney Springs, but has been known to take part in adventures all over the globe. S.E.A. 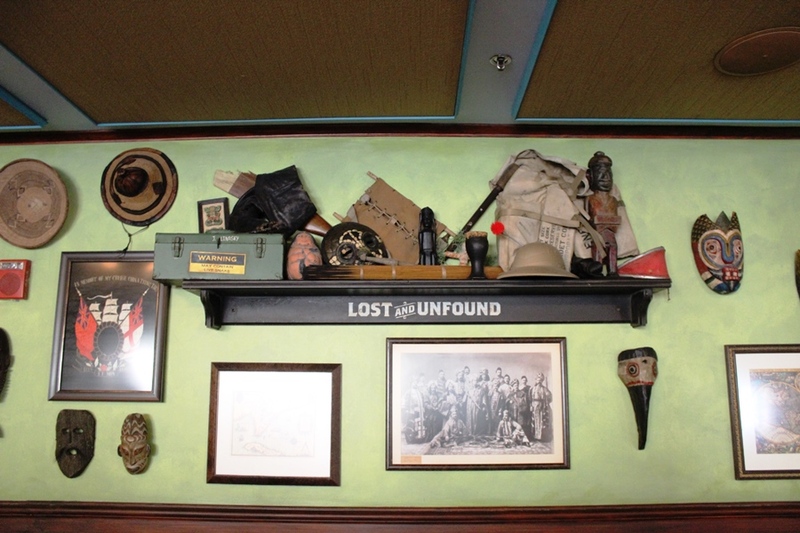 references can also been found scattered around the Hangar Bar. This only further confirms Jock’s membership in the society. Perhaps his most famous exploit, certainly the most visible on the silver screen, was the time he accompanied Indiana Jones to Peru in 1936 in what we know as Raiders of the Lost Ark. In Raiders we, along with Indy, are introduce to Jock’s pet snake Reggie. While I wouldn’t think that he would fit in this latched box, though one can never tell, and perhaps this is just his mobile housing unit. Reggie’s main home, but not Reggie himself, can be found over at the Hangar Bar. That’s a story for another day, but I do wonder where that snake has slithered off to. Need another Hangar Bar reference in the Skipper Canteen? Okay, how about that pith helmet also on the shelf. That poisonous dart appears to have punctured it perfectly. This dart is actually the swizzle stick of the Hangar Bar’s Hovito Mojito, named for the tribe of indigenous people Indy and Jock encounter in the opening scene of Raiders of the Lost Ark. Whether you’re a dedicated associate of the Adventurers Club, find more appeal in the S.E.A., or are carrying card members of both, there is something at the Skipper Canteen for everyone! The S.E.A. story continues to gain steam and members, and I’m always curious where and when it’ll pop up next. Plus, it seems that Jock is going to be critical to many of the stories we see around Walt Disney World for a while, which is perfectly fine by this explorer’s standards! Moving deeper into the menu of the Jungle Navigation Co. Ltd. Skipper Canteen, we find that there are a wide variety of choices to suit any number of hungry crew members. One item that always seems to be a crowd pleaser, whether you are nine or ninety, is macaroni and cheese. However, Skip’s Mac & Cheese isn’t your grandfather’s pasta dish. Well, unless your name is Alberta and your grandfather is Dr. Falls, in which case it’s exactly like your grandfather’s macaroni and cheese! But, I digress. The menu provides some context for the port of call where the skippers first tried this mac and cheese variation. 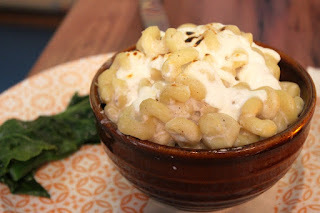 Based on an Egyptian recipe, Skip’s Mac & Cheese utilizes corkscrew pasta, also known as cavatappi, as its foundation. Added to the pasta is a ground beef that has been prepared with African spices and a béchamel sauce. Béchamel is a white sauce that starts off a as roux (butter and flour), with milk and sometimes cheese added in later. It is a much lighter cheese sauce than most macaroni and cheese dishes use. Served alongside the pasta are a couple of stalks of broccoli, more of the broccolini family, because you should always have something green when you’re dining in a jungle! Skip’s Mac & Cheese comes in a heaping portion. The top layer of sauce has some of the crispy, burnt bits of cheese that I love, but it isn’t the entire layer which is nice as I know some people don’t love this preparation. Being a thinner sauce, the béchamel has worked its way into every nook and cranny the spiral past provides. The spiced beef mixture isn’t immediately visible, but is tucked in the middle of the dish. To get everything in one bite, you’re going to have to do some mixing. The flavors here are wonderful, but not typical of a macaroni and cheese prepared stateside. By that I mean Skip’s Mac & Cheese could have come right off of the menu at Boma or Tusker House, and not straight out of the Friar’s Nook in Fantasyland. The béchamel is rich, but isn’t overpowered by the cheese flavors. The pasta was well prepared, and the beef brings a whole new flavor spectrum to the dish. There were definite hints of cinnamon or clove with tomato worked in for good measure, which may be a little alarming to your ten-year-old mac and cheese aficionado. If you pay attention to the menu description, you shouldn’t be surprised by what the Skipper Canteen serves up. We loved the Skip’s Mac & Cheese! It’s a new play on an old favorite, and fits in perfectly with the widening menu options available within the Magic Kingdom. The rivers of the world have been explored by the skippers of the Jungle Navigation Co. Ltd., and they’ve brought back some winners, including this dish, to the Skippers Canteen. It may not be for everyone, but if you’re willing to take a little risk with your Adventureland dining, then this will be your reward!